The PAF Pro® was created when chops-intensive playing was first starting to happen, and high-gain amps and rack systems were becoming popular. A pickup was needed that combined a lot of presence and “cut” with an open-sounding PAF® vibe. The transparency of its sound lets the PAF Pro® slice through heavy processing, where darker-sounding pickups get lost in the mud of the effects chain. Low notes have both snap and chunk, and there is a spike in the mid-range that gives the pickup a subtle “aw” vowel sound, like a wah-wah pedal stopped in the middle. Treble response is tweaked to produce highs that stand out without getting brittle. 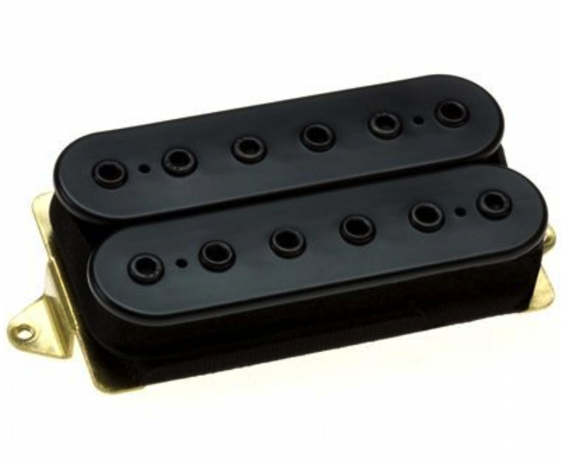 The PAF Pro® makes an outstanding neck pickup in almost any guitar, and it’s an exceptional bridge pickup when high output isn’t required.